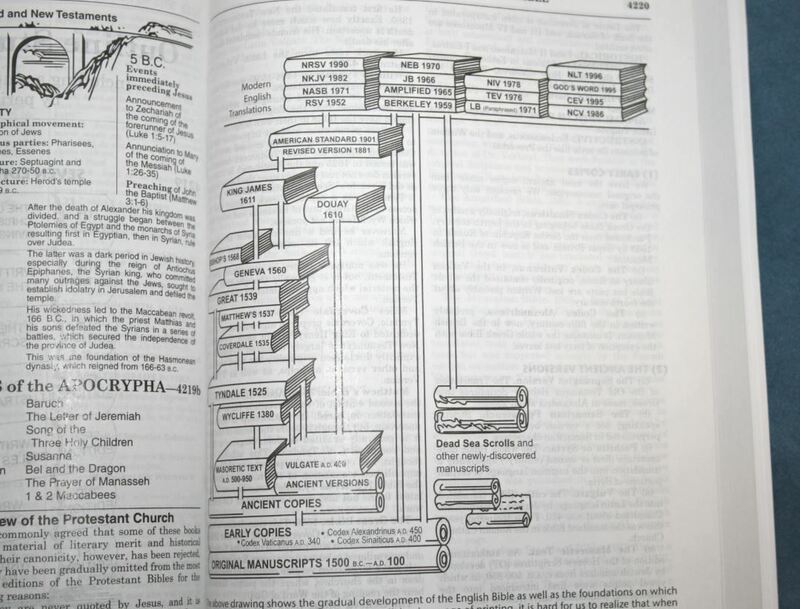 The Thompson Chain Reference system has been greatly improved in the ESV edition. 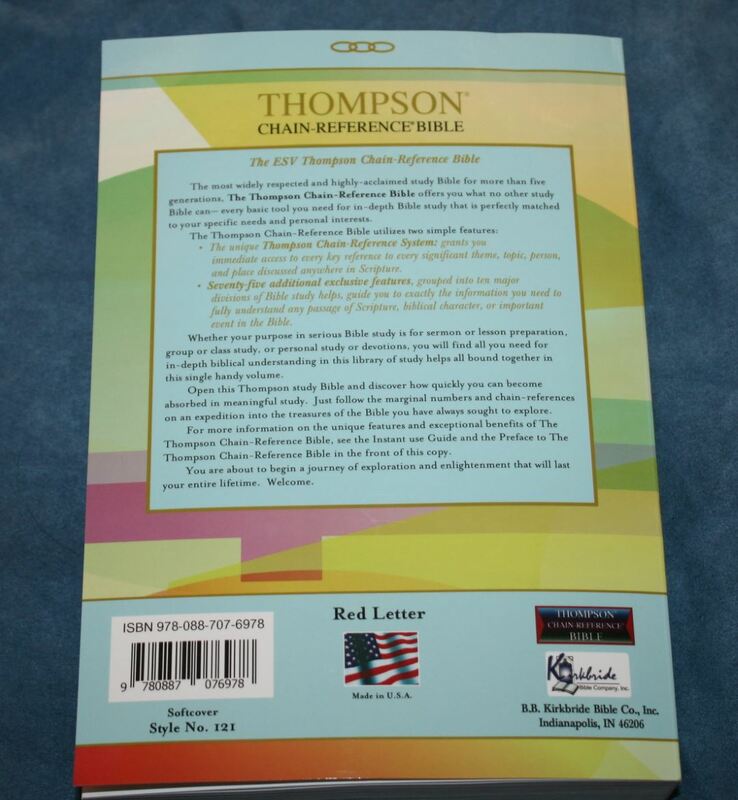 The Thompson Chain Reference is one of the oldest study Bibles that’s still on the market today and now Kirkbride has released it in the popular ESV translation (2016 edition). It even has a few refinements to the Thompson Chain Reference system to improve it even further. It will be available in soft cover, hard cover, and bonded and genuine leather in both black and burgundy with and without thumb-index. In this review I’m looking at the softcover edition. I’ll look at the hard cover and leather editions in future reviews. This edition has a glued softcover (the other editions are sewn). It isn’t meant to be the Bible that someone would use for years, but it is a great tool for something you wouldn’t want to use as a primary Bible or to get started until you could get a leather edition. 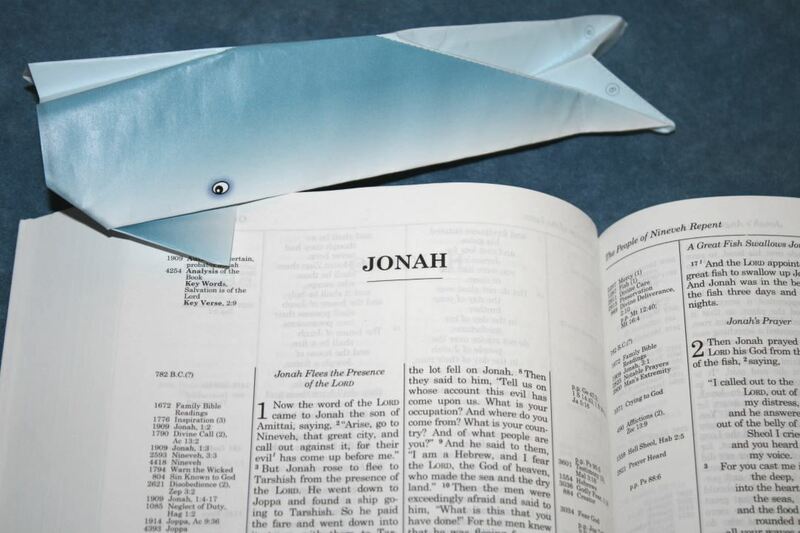 It’s a great choice for study on the go when you need a Bible that might get damaged or lost. The size is 9 x 6.37 x 1.5″, which is standard for the regular size Thompson Chain Reference. I found it easy to hold for carry and reading. The paper is floppy but I had no trouble with it. The paper is white and is a lot more opaque than my KJV edition. It does have a slight glare under direct light, but it isn’t bad. I can turn the pages easily. 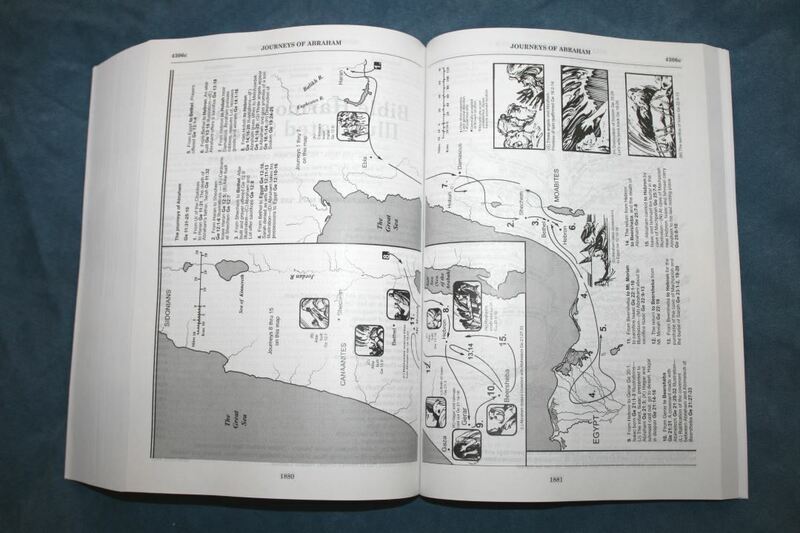 The layout was developed digitally, which allowed them to place more on a page without the page while still maintaining readability. The text is presented in double-column paragraph format with references in the inner and outer margins – creating four columns per page. Poetry is set in stanzas. Footnotes are placed at the bottom of the page under the text. The header includes the book name, chapter, and verse in the outer margin and page summaries in the inner margin. The footer shows the page number. The text doesn’t have distracting reference or footnote keys within the text. This is something that I’ve always appreciated with the Thompson design. I read a lot and I don’t like having distractions within the text. The font is 8 point with a nice leading, which helps makes the text highly readable. The black and red letter are a medium darkness and are easy to read. Both are highly consistent throughout. It’s difficult to present poetry in columns this narrow but Kirkbride has done an impressive job. The poetic lines are broken up into manageable thoughts or where it keeps the line-width consistent. It looks much better than continuing the line to the end of the column and placing the rest under the line when the width would be mismatched. This does mean that several verses have two words per line, but it still looks better than having 3 and then 1. The columns are 1 5/8” wide with 30-32 characters across with anywhere from 3-7 words per line. The words are spaced nicely and it never feels cramped. The verse numbers are superscript and easy to find. They’re also easy to ignore while reading. Section headings are in italics. 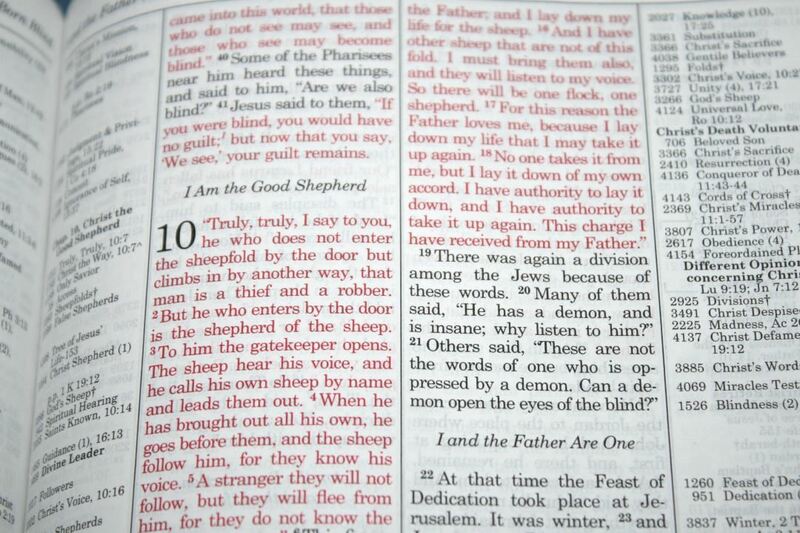 The New Testament has bold section headings in the margins. Some include references to parallel passages. Some of the margins have space for short notes. Books start on a new page, so there’s some space for notes. Just looking at it the page looks busy, but I don’t find the tools to be distracting and the text is clean. 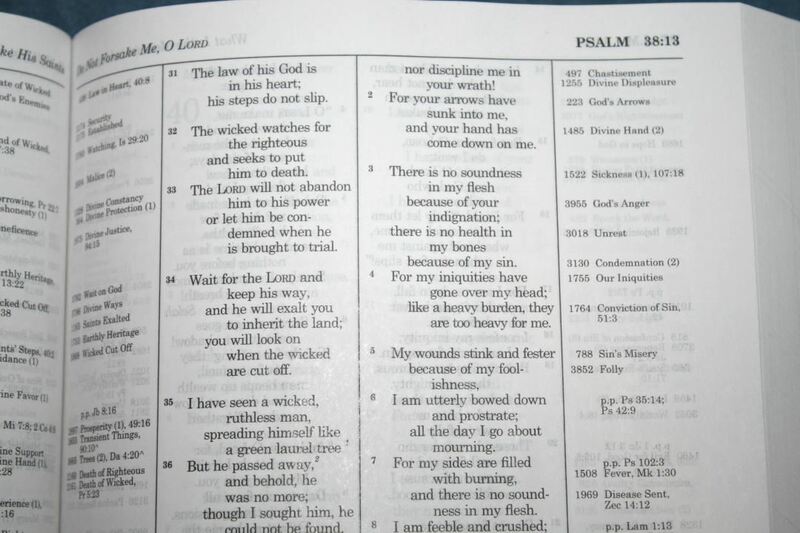 There are over 100,000 chain references within the margins next to the verses they correspond to. They give the topic name and number followed by the next verse in the chain. They also include parallel passages and where something is quoted from. The margins also include possible dates of when events took place. The references is one of the improvements of this edition. 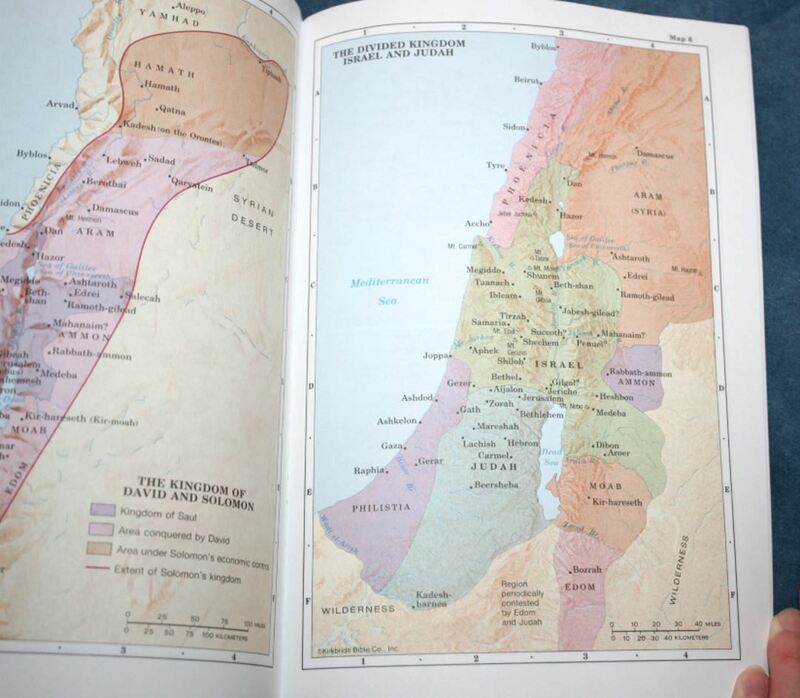 In the KJV there are a lot of verses in the back that are marked NM showing that they’re not in the margin. 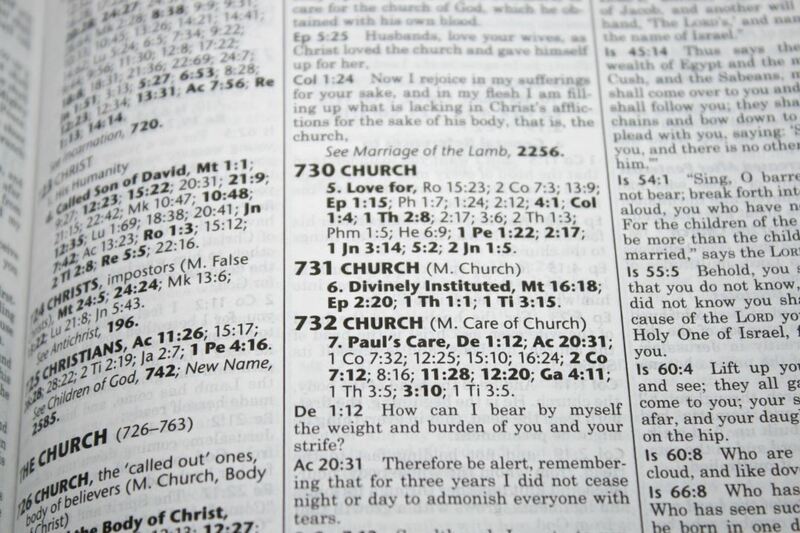 That doesn’t appear in the ESV. All of the topics now appear in the margin, however not all of them show the references. You’ll still need to go to the index for that. The chains are completed to include both OT and NT references. Topics now use consistent names. 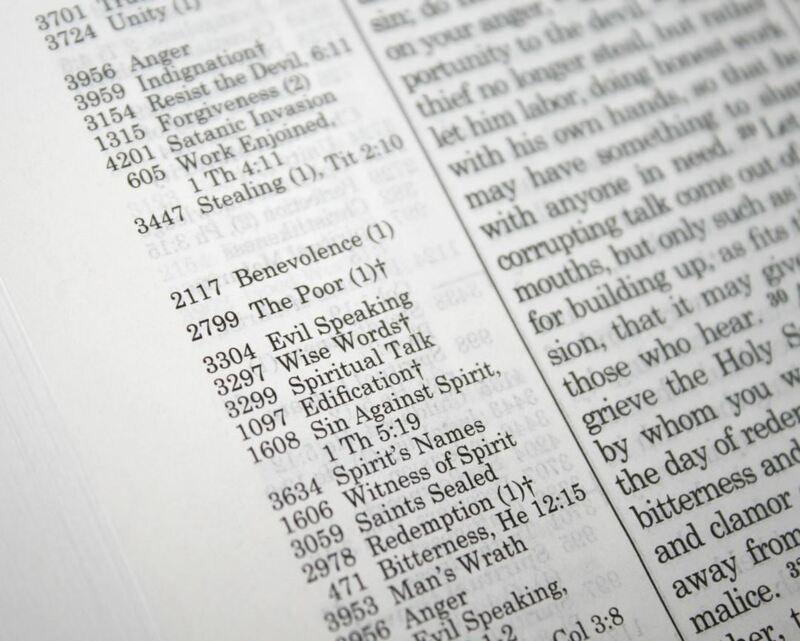 The ESV footnotes are included under the text. Footnotes include manuscript variations, alternate renderings, explanations for technical terms and difficult readings, explanations about the original languages, measures, etc. The footnotes are excellent for study and shedding light on the underlying text. 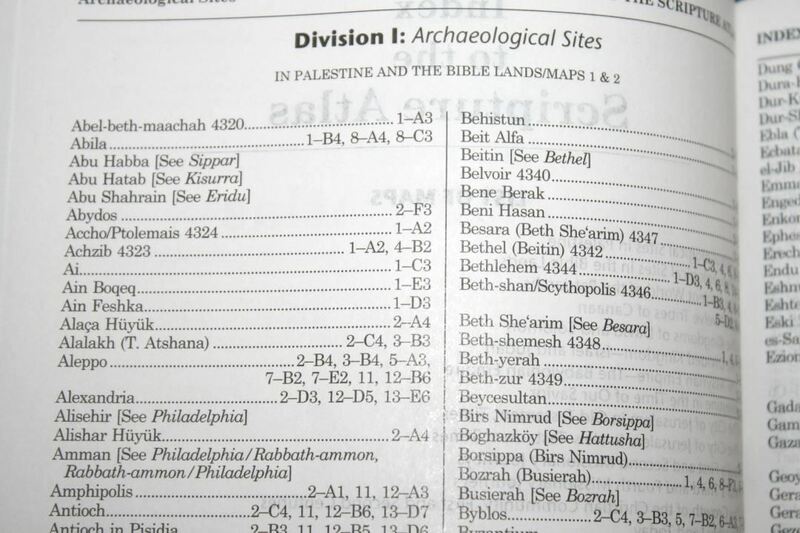 The Comprehensive Bible helps section has seen a lot of improvements. 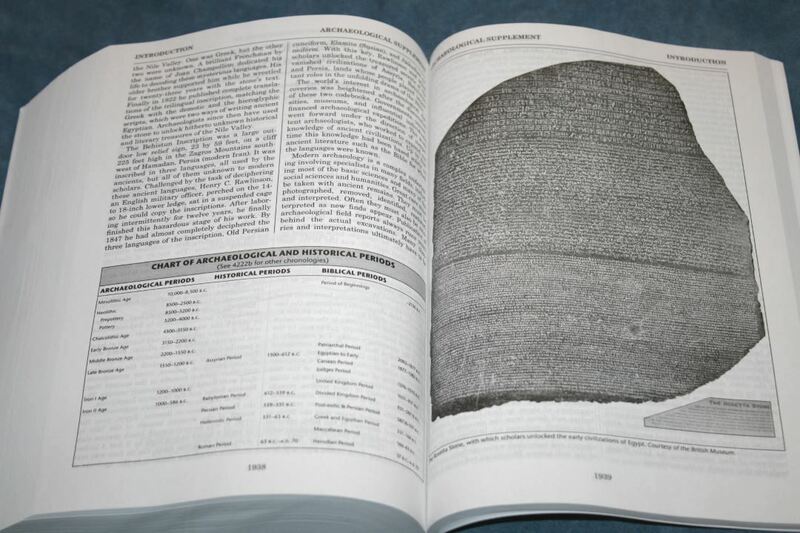 It includes lots topical lists for study archaeological information, outlines, etc. 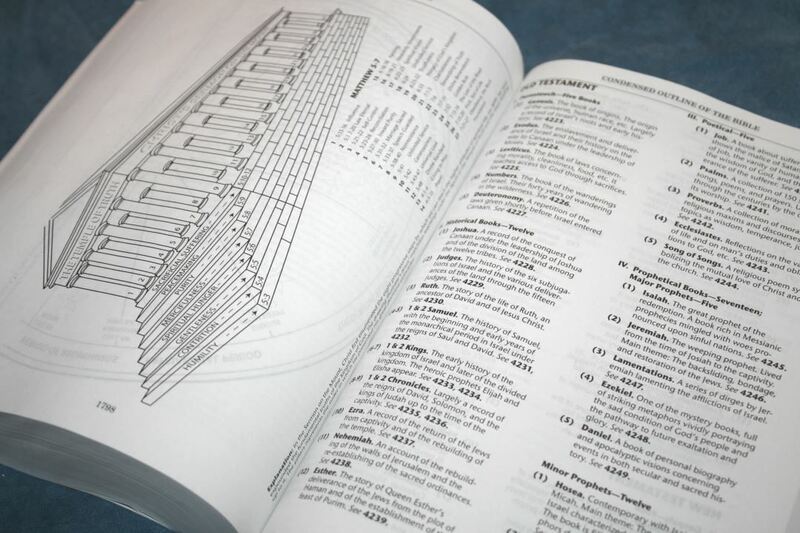 Alphabetic Index – this is the renamed index which includes all of the topics found in the Thompson. It gives you a number, which you’ll take to the next section to find the references. 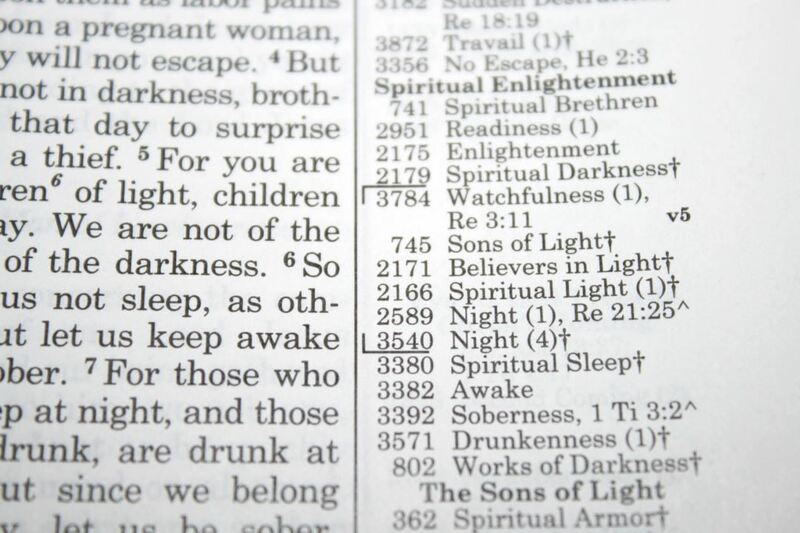 The index is now complete and shows all of the verses (previous editions didn’t include those in bold). 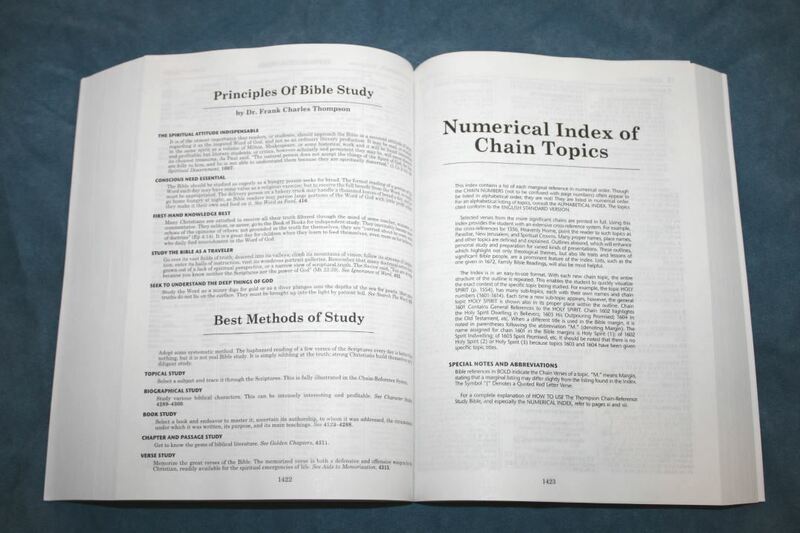 Numerical Index of Chain Topics – this renamed index is the complete topical section of the Thompson. It contains chains that are printed out, chains with just references, and suggestions for related topics. 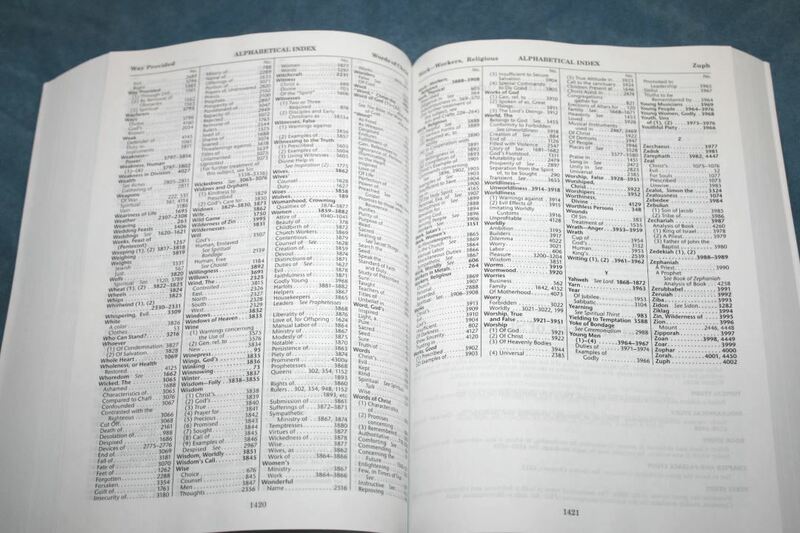 This index now includes the complete listing of references. Topics now use consistent names. Numbers and headings are in bold so they stand out better. This is a great tool for topical study and is helpful for personal devotions, study, and sermon prep. Outline Studies of the Bible – includes an overview of the modern Bible translations in English up to 1996. 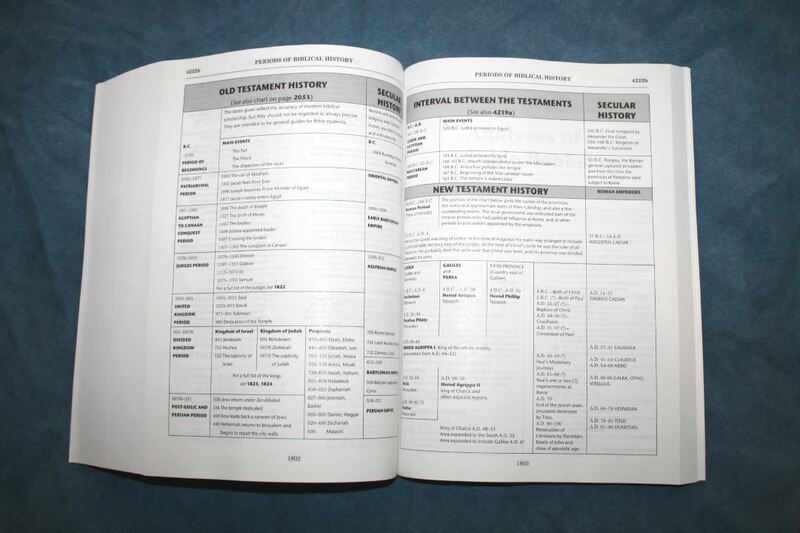 It has an overview outline of both testaments and an outline of each book of the Bible with an analysis and links to the topical chains. Bible Character Studies – covers biographical sketches of the most prominent characters in the Bible. It includes historical information and topical links. Bible Harmonies and Illustrated Studies – this section contains lots of charts such as life trees, pictorial maps, outlines, graphs, etc. 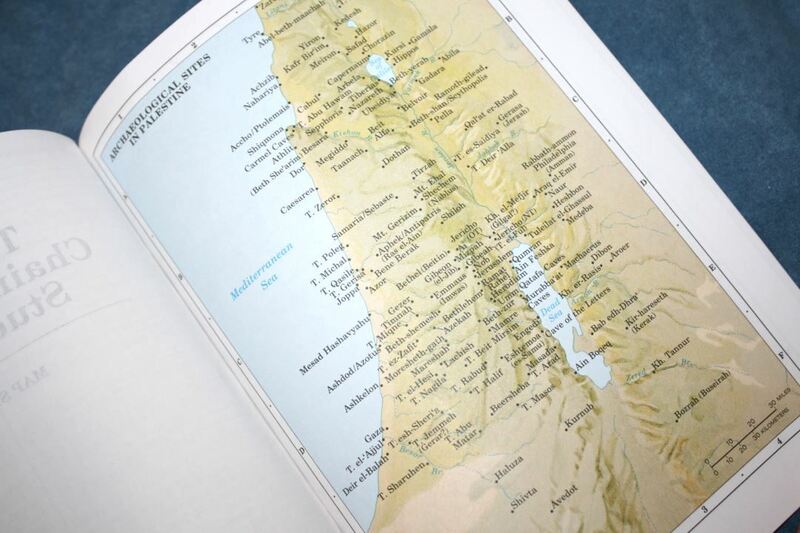 Archaeological Supplement – this section covers the places in the Bible and the archaeological information that has been discovered. This edition includes some revised artwork and photos of places and artifacts. 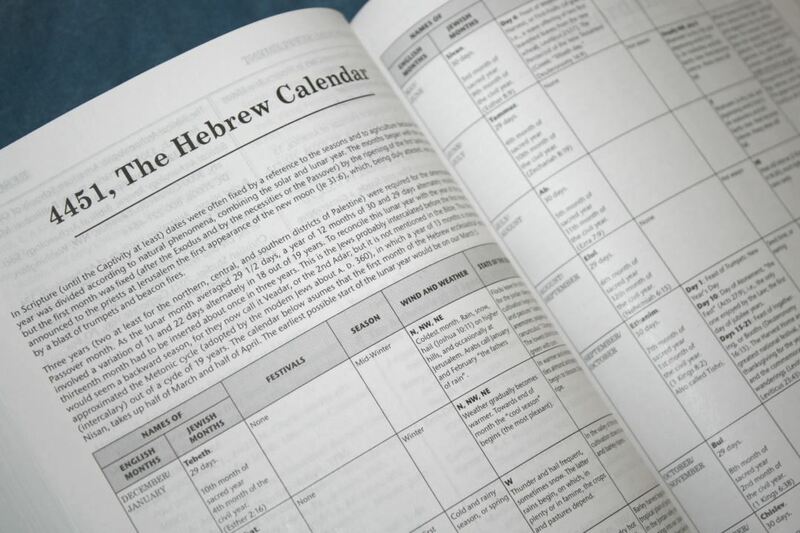 Hebrew Calendar – a table showing the names of the months in English, Jewish months, festivals, seasons, wind and weather, and state of the country. All of the content is keyed to the topical system, including things that weren’t before, so some of the references in the margins point to these sections. 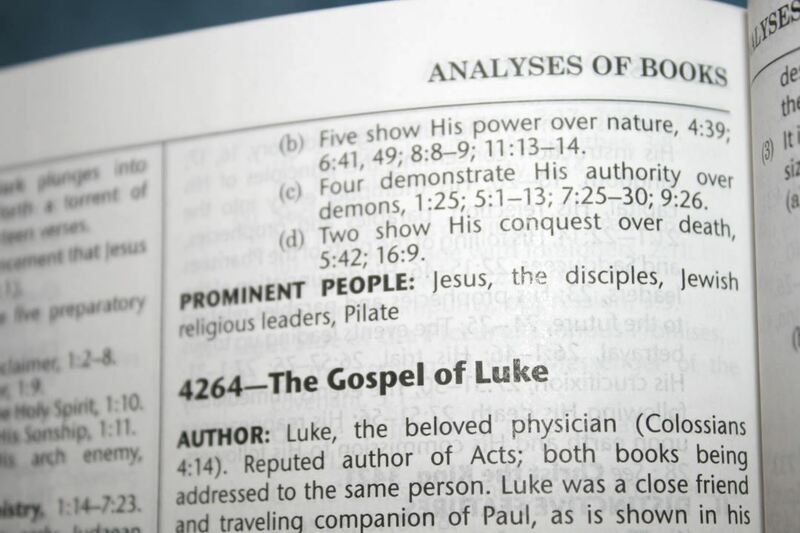 The Comprehensive Bible Helps is an excellent tool for personal study, devotions, classroom, and sermon prep. The headings are bold so they’re much easier to read. 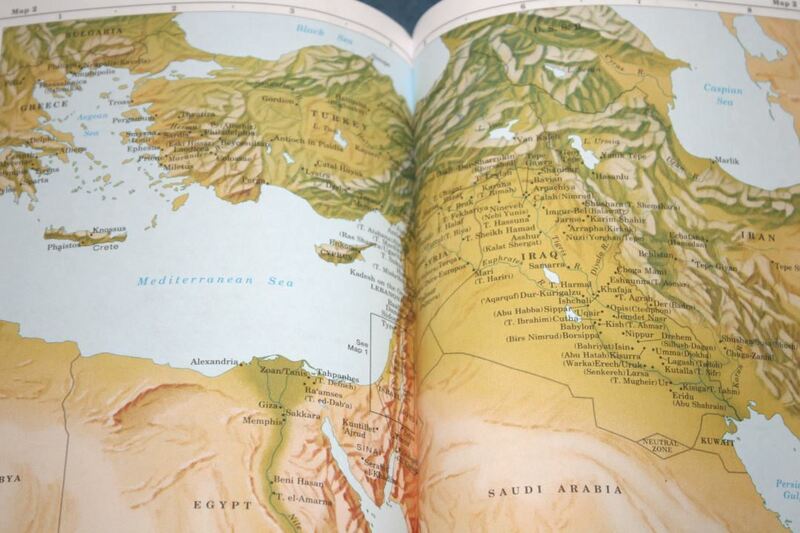 The index is keyed to the maps using a grid system, making it easy to find any location quickly. The Thompson Chain Reference Study Bible is the type of study Bible that I prefer – it provides tools to allow Scripture to interpret Scripture and help you do your own study. 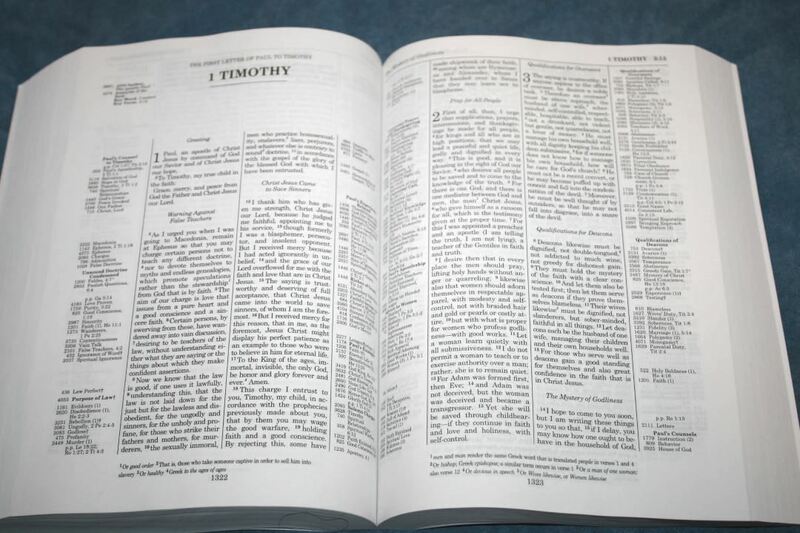 The ESV edition improves practically every point of the Thompson system. Every update that I wanted to see in the Thompson Chain Reference is in this edition. 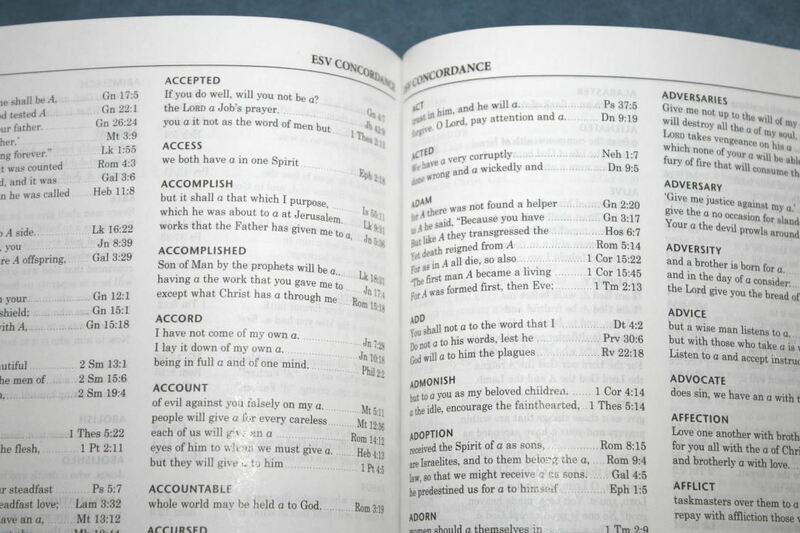 I am pleased with the updates and I want a KJV in this setting – complete with updates and paragraph format. 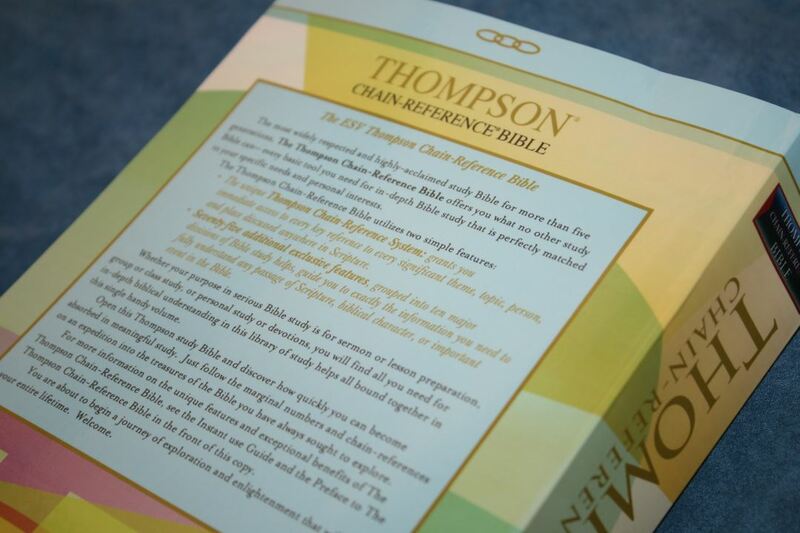 We’ve waited a long time for the Thompson Chain Reference to be available in ESV. It was worth the wait. 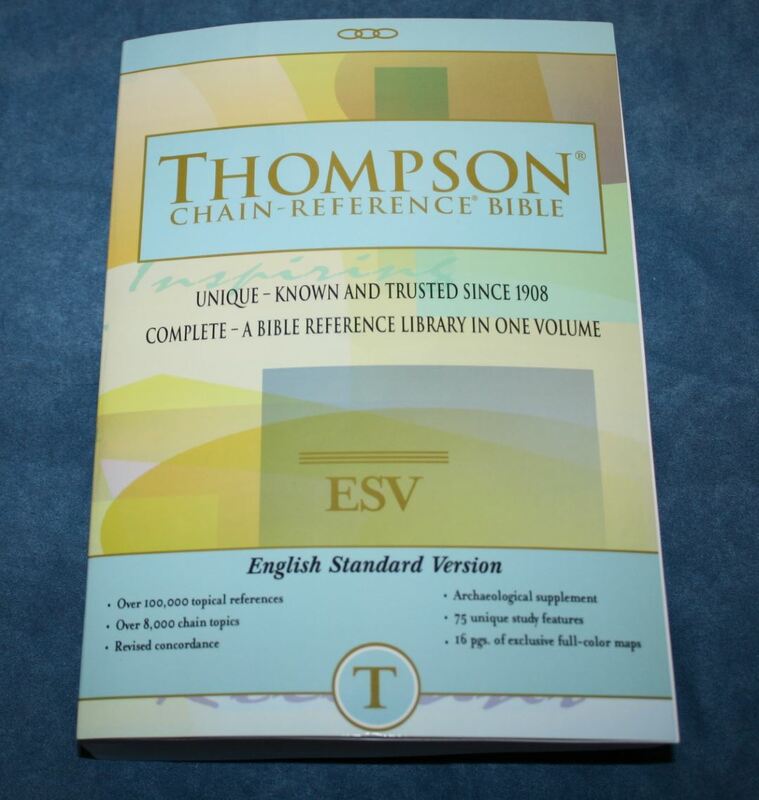 The Thompson Chain Reference ESV edition is easy to recommend and I can’t wait for the leather editions. Watch for the comparison post coming soon. Thanks for this great review. After they completed/expanded the chains in the NKJV TCR, I have been waiting for them to do the same with the KJV. Glad to hear the new ESV has the completed/expanded chains. This is amazing! I discovered the Thompson Chain Bible seven years ago and I have wanted an ESV edition ever since. Fighting the urge to just buy this edition but trying to be patient for the leather one. maybe by some miracle they will be ready in April. Randy, do you know where these are printed? Hi Brandon. They’re printed in USA, but I’m not sure where. The leather editions will be available in late April or early May. Randy, do you know if there are any new revisions in the ESV TCR compared to the NKJV? It seemed to me that the NKJV had the most up to date chains and helps compared to the other translation options. I would definitely go for the ESV if there’s any meaningful updates to the study helps compared with those in the NKJV. Hi Zak. As far as I know the ESV was revised even further. I’ll work on a comparison to show the revisions. My other TCR’s are at the Church. I’ll grab them tomorrow night. Paragraph format? Seriously?? Why? I know that seems to be a trend now and I wonder how much Crossway may have influenced that. 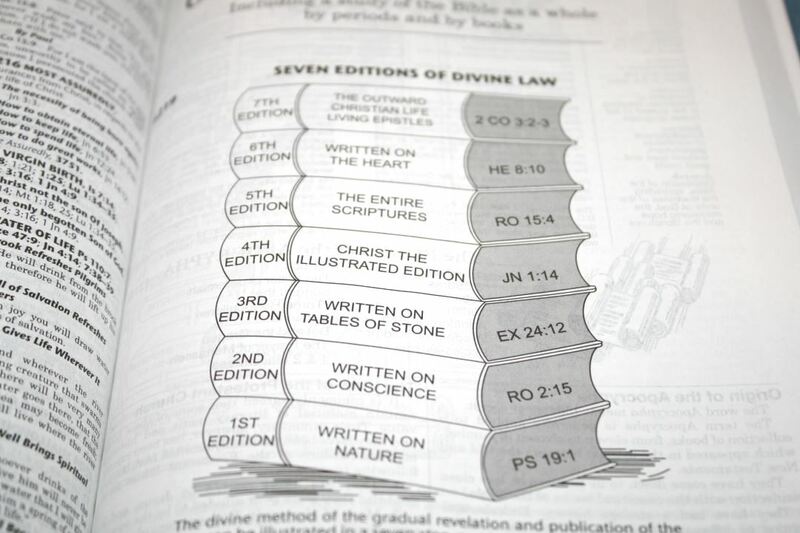 This is a bible meant for study not novel like reading. Would also love to know if they have done more to the chains than in the NKJV. Thanks so much for the review. I find it interesting that the ESV did not make it to the page about translations. 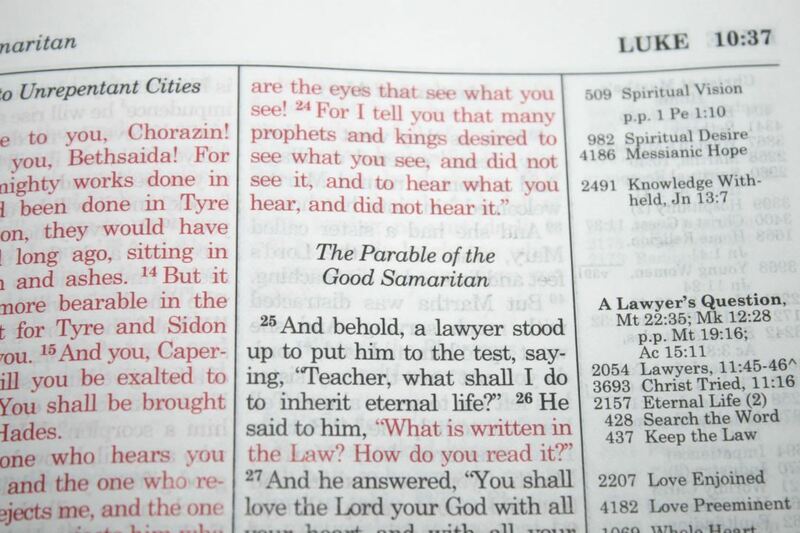 I was also wondering if you could tell us which edition of the ESV is used; is it the most recent? I wondered about that too. It is the 2016 edition. Hello Randy! 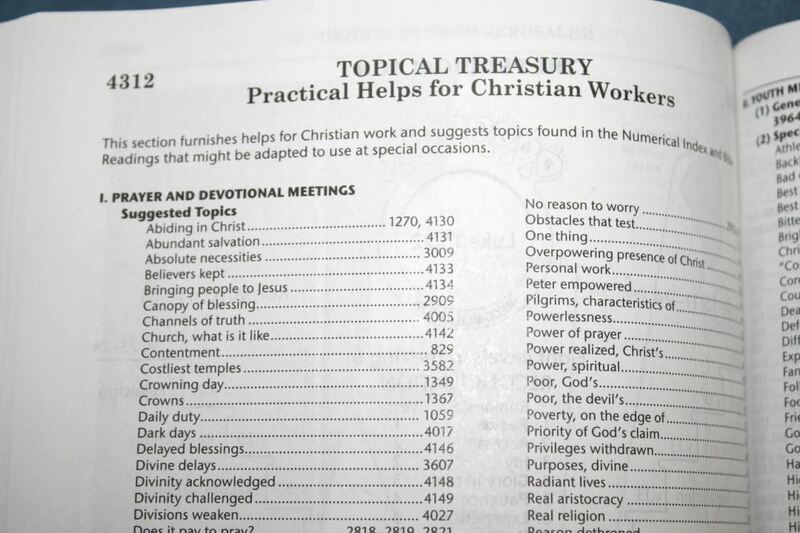 I would like to ask for help in buying study bible. May I ask what is the best version to buy whether NKJV TCR or ESV TCR? I own already two versions of TCR which are KJV and NIV and I’m planning to buy another version. It’s a great help if you will recommend what version will I buy between NKJV TCR or ESV TVR. Thanks and God bless! These inexpensive but attractive software editions are a real boon and encouragement. This ESV edition is ideal for recommending to, and placing with, serious Bible students, believers and enquirers. It, and the addition of one of a Crossway textual references ESV, make an ideal beginning and base of a solid Bible study system, as I have recommended to several younger Christians. This software TCR is inexpensive enough to disband the pages, trim to A5 size, and place into clear-glass punched pockets and put into a folder; and one’s own notes can then be interleaved. 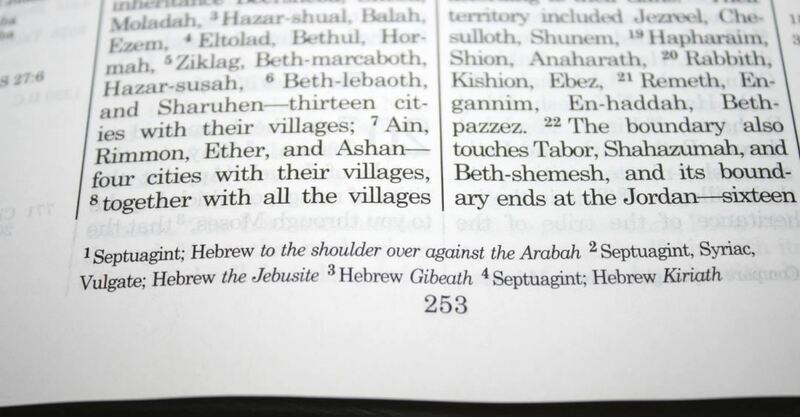 So, one can have an ESV for carrying aroiund, as an ESV for study. I have found, and others have found, that this TCR text, being free of reference letters and the like, is also an ideal reading Bible. 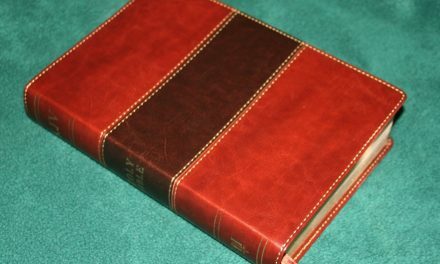 The ESV is surely set to be either the main, or a principal modern version used by serious students who wish to have a translation that is more “literal” than “dynamic”…..While we all love a premium leather or other premium Bible, just consider how many of thsee excellent software editions can be bought for the same price! 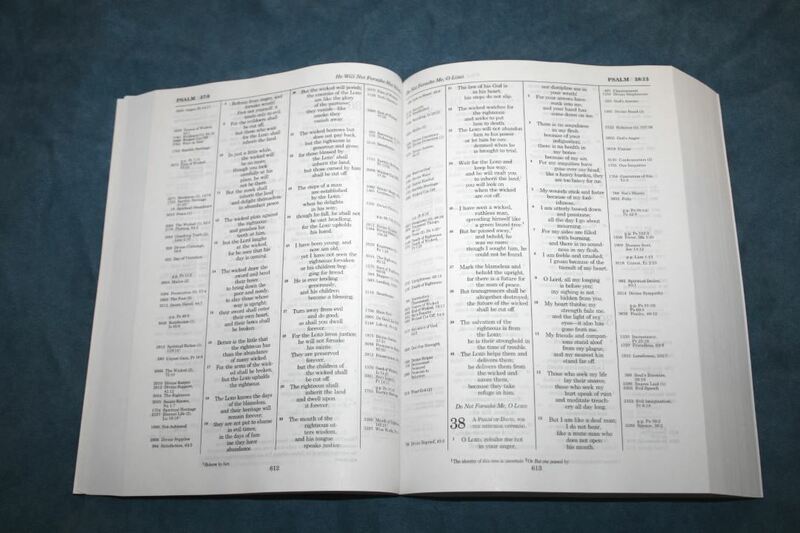 …Now, which inexpensive textual cross-reference edition of the ESV should one put alongside this TCR? …Would’nt it be wonderful if we could get an edition of the TCR with an additional column of full textual cross-references?! That would be nice. For an inexpensive cross-reference edition, I like the Personal Side Column Reference edition. One of my favorites is the Large Print Wide Margin. Randy, Thank you also for your recommendation of the ESV Personal Reference Bible, having side cross-references and a concordance. The inexpensive editions of this plus the softcover TCR reviewed above would together cost around £50 in the UK and around that or less in dollars in the USA. They are a perfect combination, and are to my mind the obvious Christmas or birthday or anytime present for, or investment by, any serious Bible student. It’s a good day! Thank you!